It was his words, unless I misinterpreted. WHERE did you see this? I pull up the Wikipedia page on the Milky Way... and there the classification is STILL SBc. I didn't mean or intend to make them my words, I thought he meant that he had a new computer at his office, so I said it turns out he has a new computer at his office. Because it is used for calculation of some electrodynamic models (antennae, filters, grids etc). It requires a lot of memory and computational power. In my office, there are 4 such computers. But it is offtop here. Is 64GB much? RAM is faster than disk/flash, and as long as you have more (useful stuff) on disk/flash than RAM, more RAM will help. Anyway, this star generation and logging stuff is now way beyond what I originally wished for. Well, I had no idea what was going on at the time and so I thought there was a memory leak somehow. At least the performance will be better in this patch. Quote (Kimb)WHERE did you see this? A list of all available fullscreen modes. Default refresh frequency is 60 Hz and can be adjusted only in config. Default bpp is 32 bit and can't be changed. I think you wont use 16 bit color in SE:) And Windows 8 supports only 32 bit colors BTW. 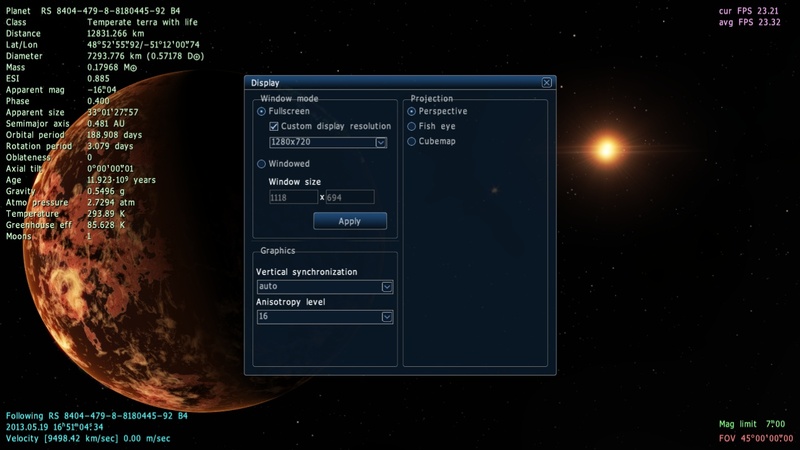 If checkbox "Custom display resolution" is unchecked, SE uses current desktop resolution. 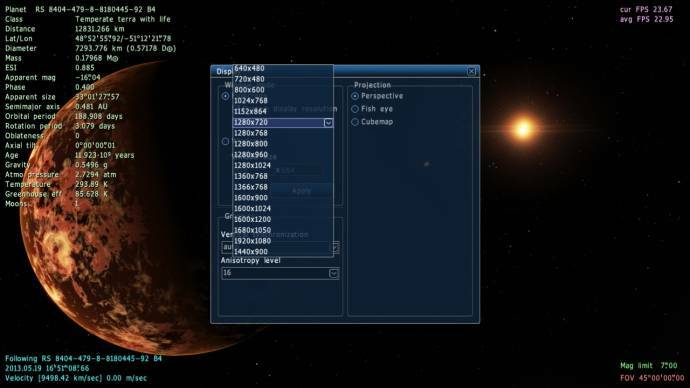 This screenshot is taken in a windowed mode. 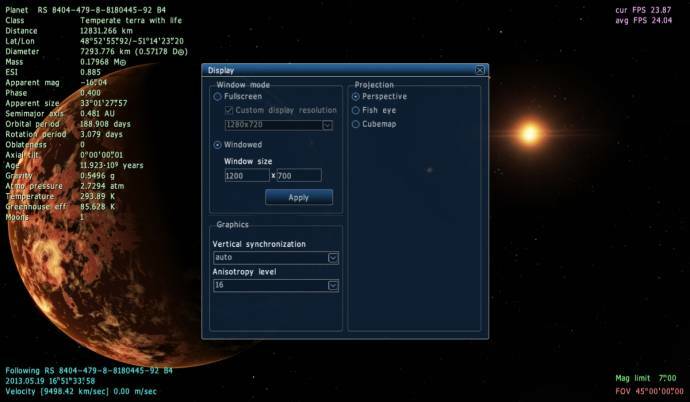 Resolution (or size of the window's work area) can be adjusted by the edit fields, or simply by resizing the window by mouse. It still can't set a size of window bigger than the desktop resolution. A hack with WM_GETMINMAXINFO required. SE saves all settings in the config and can restore them then you launch it next time. If you expand the window with the button of the window's header, SE saves this state too. Can you please explain where i can download this? And what i have to do to work. Thank you. Can you please explain where i can download this? This is a work progress thread. It shows what progress he has made towards the next release. None of this is released yet.